I am happy to share with you a recipe for the most delicious gluten free cake I ever ate – poppy seeds cake without grains and dairy but mega rich in calcium! The cake is wonderfully moist and soft. The texture does not fall apart or does not crumble. 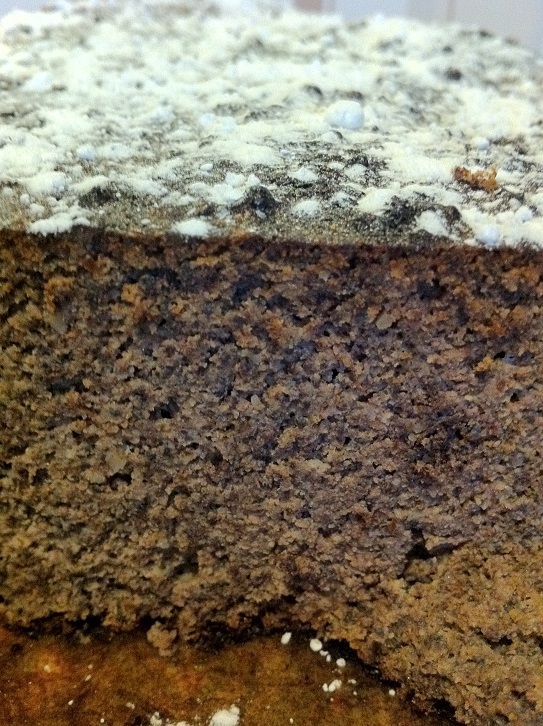 It has a typical (for the poppy seeds cake) gorgeous flavor. 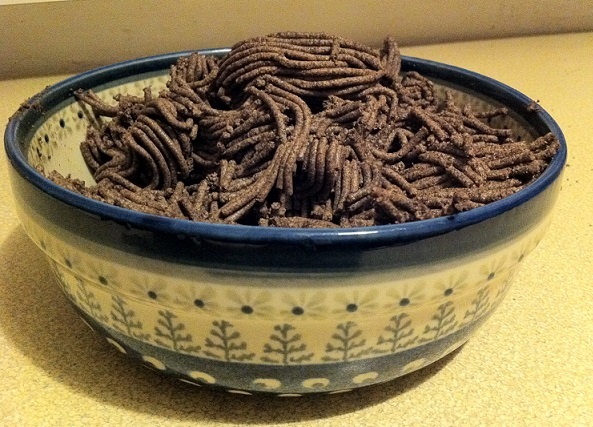 Place dry poppy seeds in a big bowl. Pour about 1 liter of boiled water on top of the poppy seeds and let it soak for 5-10 min. Afterwards, drain the water from poppy seeds and repeat the procedure two more times. Let the soaking seeds stand in the water for about 12 hours (I let it soak overnight). 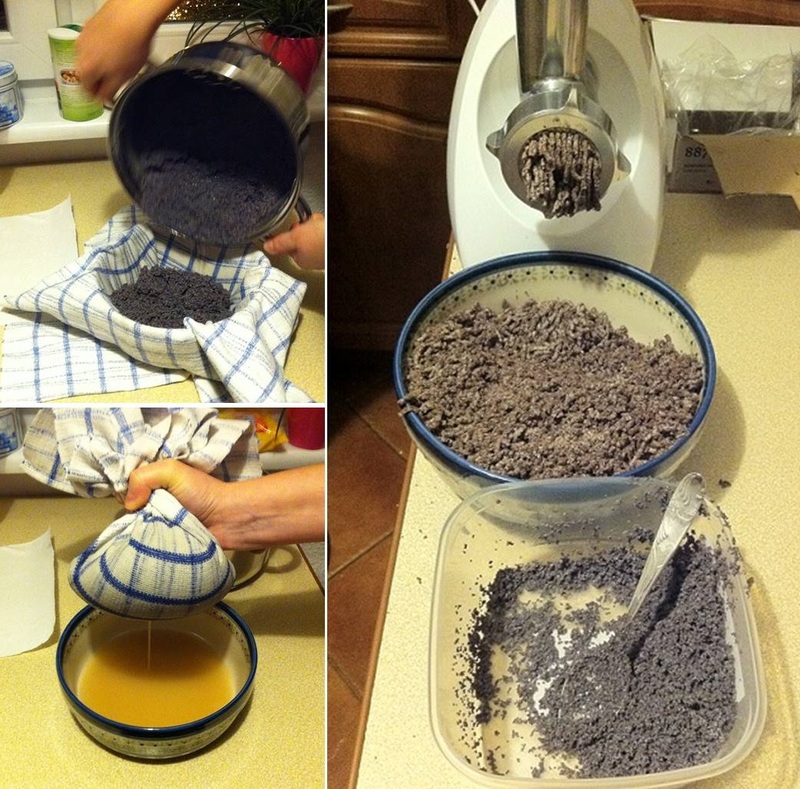 After soaking the poppy seeds, I drained them very thoroughly using a cotton kitchen towel. The poppy seeds will remain wet. The total weight you need to add to the cake is 400 g. Before adding the poppy seeds to the cake, they need to be ground first. Grinding nuts. 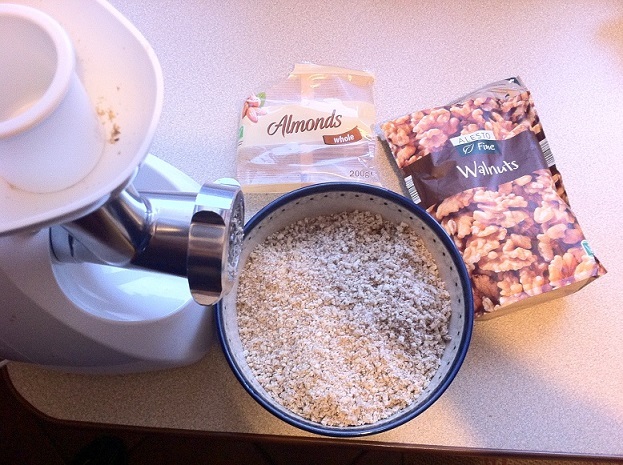 I used one of the kitchen machines to grind nuts. They became fatty and moist but it is okay. They don’t need to be ground very finely. 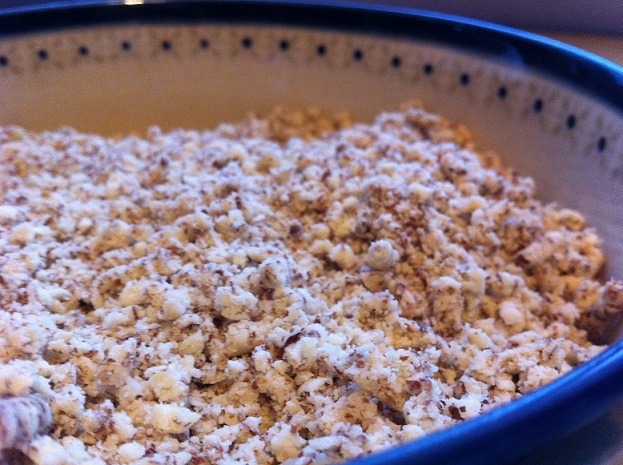 Mix the ground poppy seeds and nuts together.Melt plant based margarine in a pan and let it cool down. Now it is time for eggs. Separate egg whites from yolks. Beat the yolks with sugar using a kitchen mixer. Beat egg whites very well. The better beaten egg whites the higher the cake will raise. 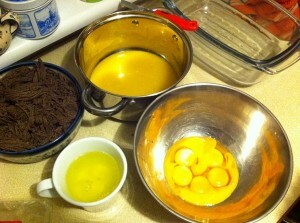 Add cooled margarine to the beaten egg yolks and mix together. Next, add the poppy seeds with nuts to the mixed yolks. 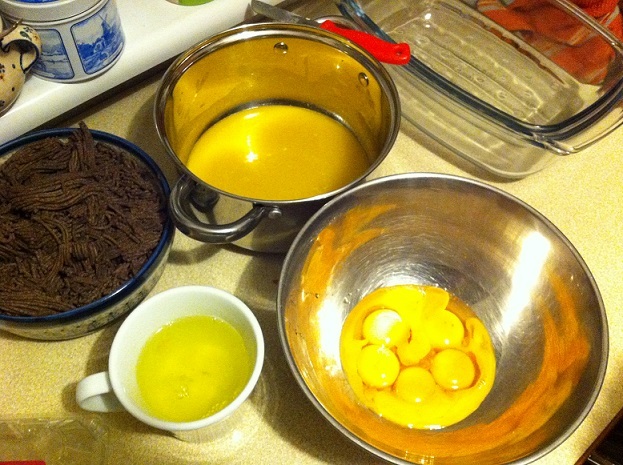 In the end, very gently add beaten egg whites to the rest of the ingredients. Slightly mix all together using a spoon. Try not to destroy the network formed by egg whites. Place the mixture in the baking form (or as I did it – to the glass dish with a baking paper on the bottom of it) and bake at 180ºC for about 45 minutes. Keep watch (mine was done after 35 min)! If you share oven (it is used for dishes with and without gluten) you can use a glass dish with a glass cover. I used a closed dish and my cake still became nicely golden brown on the surface. If you don’t have a machine in which you can grind nuts, you can use already milled nuts or one of the nuts flours, for instance almond flour. You can modify the amount of sugar or replace it with some other sweetener. I wanted to use honey but I was afraid that my cake won’t rise as it is made without baking powder or baking soda. 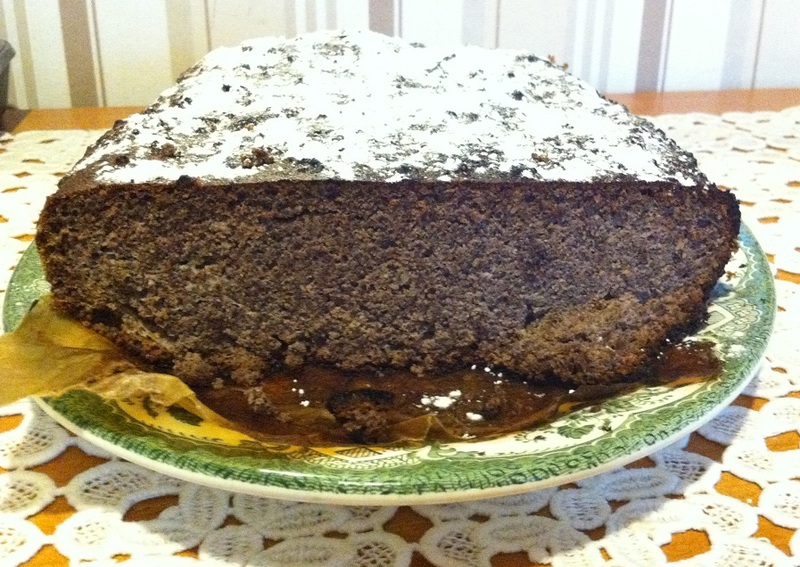 The traditional poppy seeds cake contains raisins. You can add raisins (or cranberries) to the poppy seeds. I wish you fun baking and a delicious treat after!